Fill in the chart below correctly, based on the data above. How can you make a paper airplane fly further? takes the helicopter to hit the floor from various heights. 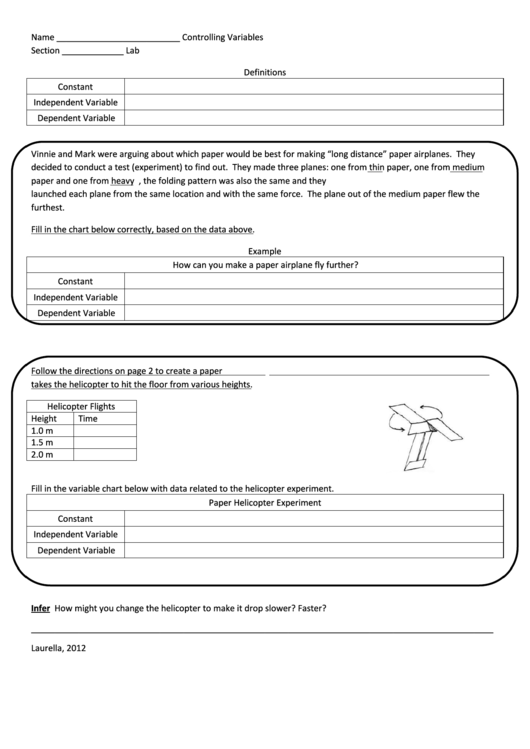 Fill in the variable chart below with data related to the helicopter experiment. How might you change the helicopter to make it drop slower? Faster?